is a trial attorney in Gass Weber Mullins’ Miami office. He represents individuals and companies in a wide array of complex litigation matters in both state and federal court. Currently, he focuses his practice on cases involving premises liability, products liability, medical malpractice, and wrongful death claims. Mr. Destin has significant litigation and trial experience. For example, in September 2018, he obtained a defense verdict in a medical malpractice trial where the plaintiff sought over $535,000 in damages. Mr. Destin was born in Brooklyn, New York and raised in Port-au-Prince, Haiti. He earned a Bachelor of Business Administration in Economics from the University of Georgia and a Juris Doctorate from the University of Miami School of Law. As a law student, he interned with the Office of the United States Trustee. He also served as a Certified Legal Intern in the Bankruptcy Court for the Southern District of Florida, where he represented debtors and creditors in bankruptcy proceedings. He was awarded the Book Award and the Pro Bono Certificate for his work in the University of Miami’s Health Rights Clinic. 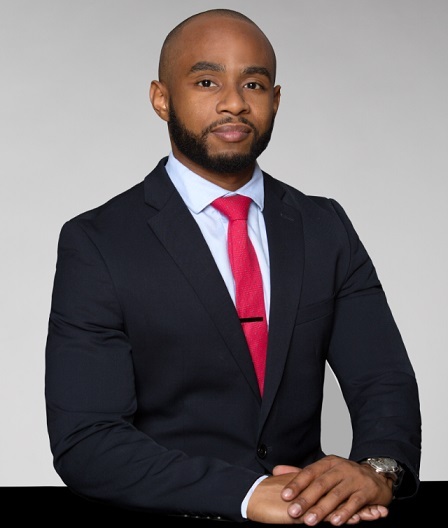 In addition to his civil trial practice, Mr. Destin serves the broader community by representing clients pro bono as part of the Miami-Dade Public Defender’s Ensuring Equal Justice initiative. He also volunteers as a coach and administrator for Little Haiti Football Club. Mr. Destin is committed to using his knowledge and advocacy for the betterment of the Haitian community in the United States and abroad.